“EN” oval dining table is named from it’s Japanese definition loosely translated as fateful encounter, lineage and metaphorically represented in Zen art as a circle. The oval shaped glass top, made of 10mm safety glass, defines it’s interaction both because of it’s shape and transparency. The oval shape provides a formal yet friendly setting, retaining the formality of a rectilinear table top with it’s “head and side of the table” yet deriving the familiarity of a circular top allows all seated to be able to visually interact with each other. 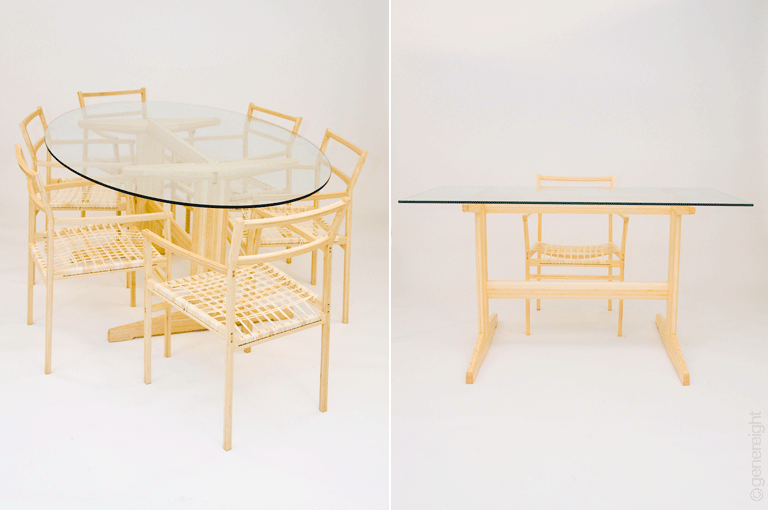 The transparency provides an air of lightness putting the emphasis on what is on the table and the people around it. 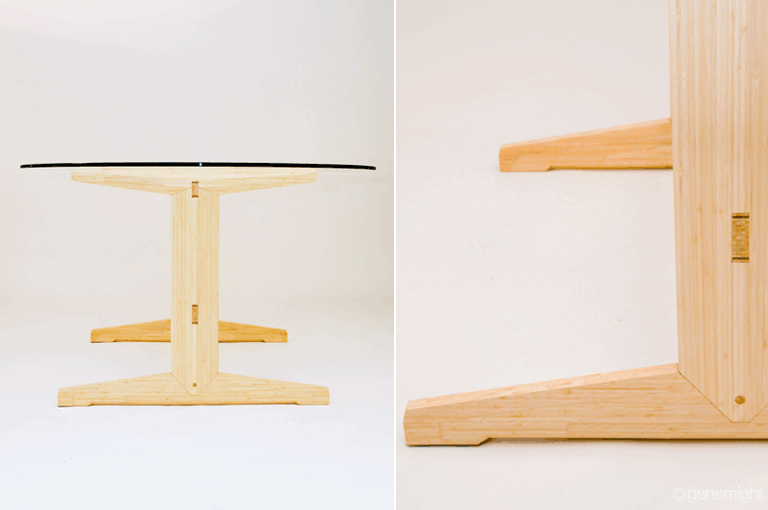 Alternately the top can be customized with an alternate rectangular top for use as a personal desk. 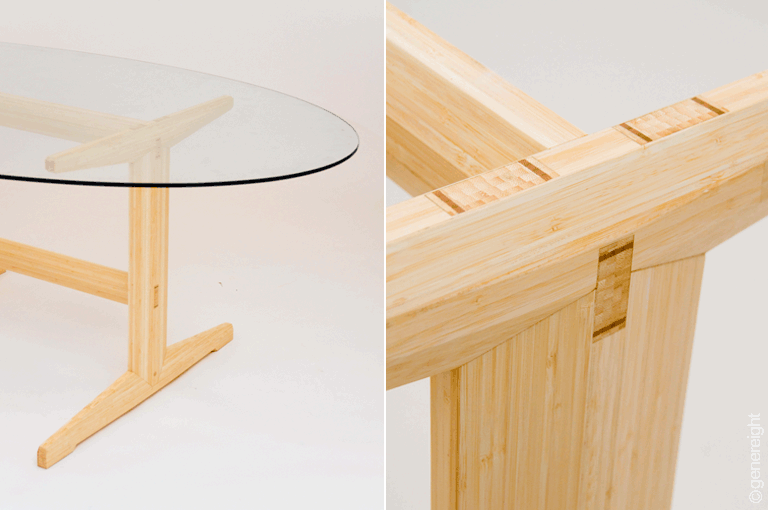 The bamboo structure is a rudimentary trestle design historically made for gatherings. 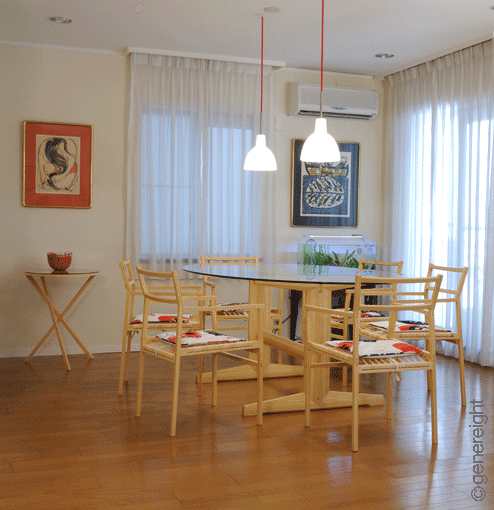 Its simplicity relieves the visual cluster of the common 4 legged table. All elements are beveled and chamfered to create its visual lightness and softness. The contrasting wood color are used in the double wedge and drawbore pinning tenon joinery delivers detailing and structural integrity that are reflected in it’s complimenting seating “ZA”. Finished with natural oils and wax bringing out the beauty of the wood grain, EN is available in two tones, Natural or Medium.